Florence's basilicas: not all of Florence's great art is in its museums. Florence’s basilicas: not all of Florence’s great art is in its museums. 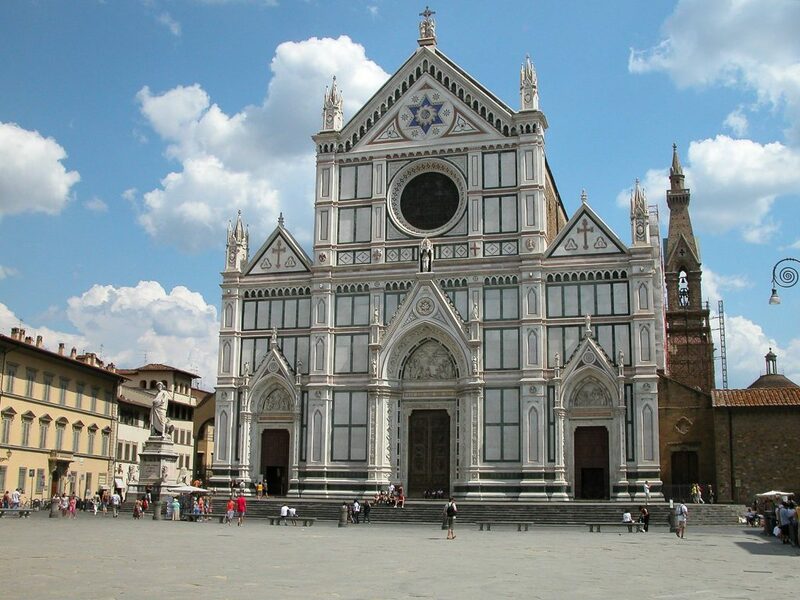 We’ve told you about Florence’s most scenic spots, now let’s talk about its churches. 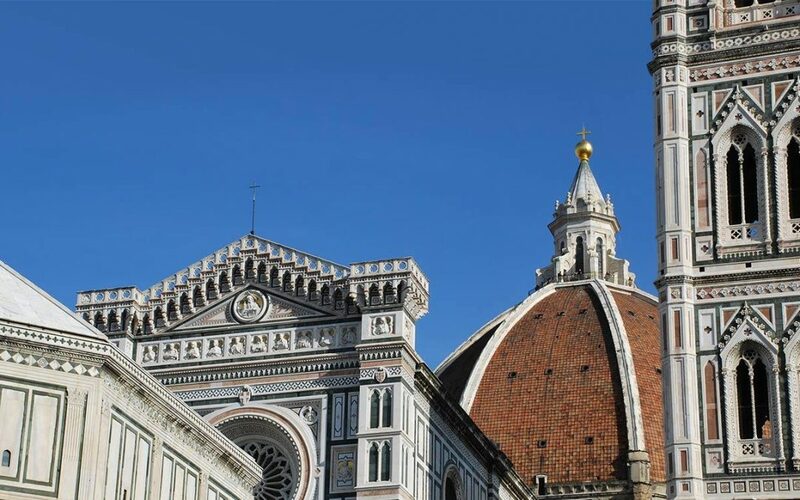 Florence has a multitude of churches, some of the most famous anywhere in the world, holding within artistic masterpieces and drawing millions of visitors every day. Just like in the church of Santa Maria del Popolo in Rome — which holds two Caravaggio masterpieces — some of Florence’s basilicas have major masterpieces “hidden” inside. Let’s consider a few of them. Without a doubt, the Cathedral of Santa Maria del Fiore is first on the list. Leaving aside the marvelous 19th-century façade for now (it deserves its own explanation of at least an hour by an expert guide), come and in and explore the church inside. The first thing you’ll notice is the floor, whose geometric pattern creates an optical illusion that suggests the shape of a dome, and taking on it could make you just slightly dizzy. The church interior is actually simpler than you might expect, especially considering the facade. Head towards the altar and look up at the dome: its golden mosaics will light your face aglow. Before leaving, don’t forget to take a look at the clock that Paolo Uccello designed: its face is divided into twenty-four sections, rather than twelve, in accordance with how they marked time in the 15th century. A full guided tour of this extraordinary monument lets you admire its wonders with an expert guide. CLICK HERE to learn more. Among Florence’s basilicas let’s mention Orsanmichele church. On the busy street leading to Piazza della Signoria, you’ll come to the church of Orsanmichele. You can’t miss it: its walls are surrounded by tabernacles with statues of the most famous artists of its day. Going inside, you’ll see that its architecture and form are uncommon for a church. Orsanmichele is actually pagan in origin: it was a loggia for a grain market, making this church quite unique. Continuing our tour, we can’t forget Santa Croce in the square of the same name. To the right of the church is a statue of the great poet, Dante Alighieri, surveilling the square with his stern gaze. The church has three naves and the central one has a coffered ceiling. The church is especially beautiful for the Franciscan simplicity of its architecture and the detail of octagonal columns. It is famed for the tombs and cenotaph of extremely famous people, like Michelangelo, Galileo, Vittorio Alfieri, Niccolò Machiavelli, Rossini, and Foscolo. The church was also made famous by films like Room with a View, whose romantic leads meet in the beautiful church. Santa Maria Novella is also in Florence’s immediate historic center. Right by the station, it is a natural choice as the first church to visit when you get to Florence. The church dazzles as soon as you step inside: the soaring naves with a cross vault and pointed arches create a lightweight upward motion that will make you immediately forget the din and bustle of the city you just left outside. There are countless riches contained within: artists the caliber of Giotto, Duccio di Buoninsegna, Brunelleschi, Botticelli, Masaccio, Domenico Ghilrlandaio, Filippino Lippi, Giorgio Vasari, Paolo Uccello, and even Michelangelo have left their mark on this church full of pieces of inestimable artistic value. Among these is the Giotto crucifix, dated to 1290, having undergone a twelve-year restoration process. An unusual fact about the crucifix is that it hangs in its original placement. Another crucifix keeps company with Giotto’s famous piece and is also significant because it is the architect Filippo Brunelleschi’s only wooden work. And many a fresco adorns the walls of the two wonderful chapels — Tornabuoni and Strozzi. One of the basilicas of Florence not to miss is outside the center. A proper tour of churches in Florence can’t leave out the church San Miniato al Monte, which overlooks Florence from on high. Climbing up to the church affords great satisfaction, or you can easily get there from nearby Piazzale Michelangelo. The interior of the church is unusual because the presbytery and the choir are raised on a platform. Back in the center of Florence, we find the church of Santa Maria Maggiore, located a few steps from Piazza del Duomo, in the heart of the city. The interior with three naves is unusual for the separation between the central nave, with a cross vault, and the side naves covered with mosaics. Inside is the tomb of Brunetto Latini, poet and writer in the vernacular. One of the most famous areas in the Oltrarno is the Santo Spirito neighborhood. The square of the same name is a top spot of Florence’s nightlife, especially during summers. This area is always worth a visit to see the magnificent church on the square. The exterior of Santo Spirito is one of the simplest and most distinctive of any church in Florence. The smooth facade is spare and simple. Dating to the 13th century, the church was built on the remains of an Augustinian convent. Inside the bright interior of the three-nave church, walk the full 97 meters of the central nave to find a work of art at the end well worth a look: the church’s crucifix is an early work by Michelangelo Buonarroti and the sculpture’s soft, shapely forms are definitely worth visiting the church and the Santo Spirito neighborhood. Not far from here is a church known as “Il Cestello,” whose contour is can be seen all along the Arno leading towards the Cascine Park. The interior of the church is elegant, dominated by white, whose uniformity is broken only by the frescoes of the dome, which definitely measure up to those of much more famous domes. The fresco is by Anton Domenico Gabbiani and Matteo Bonechi, late Baroque artists active in Florence in the late 17th century. This brings us to the end of our tour dedicated to Florence’s basilicas, away from the busy streets and into these quiet oases, which hold more works than you might have imagined that could hang in the world’s most famous museums. 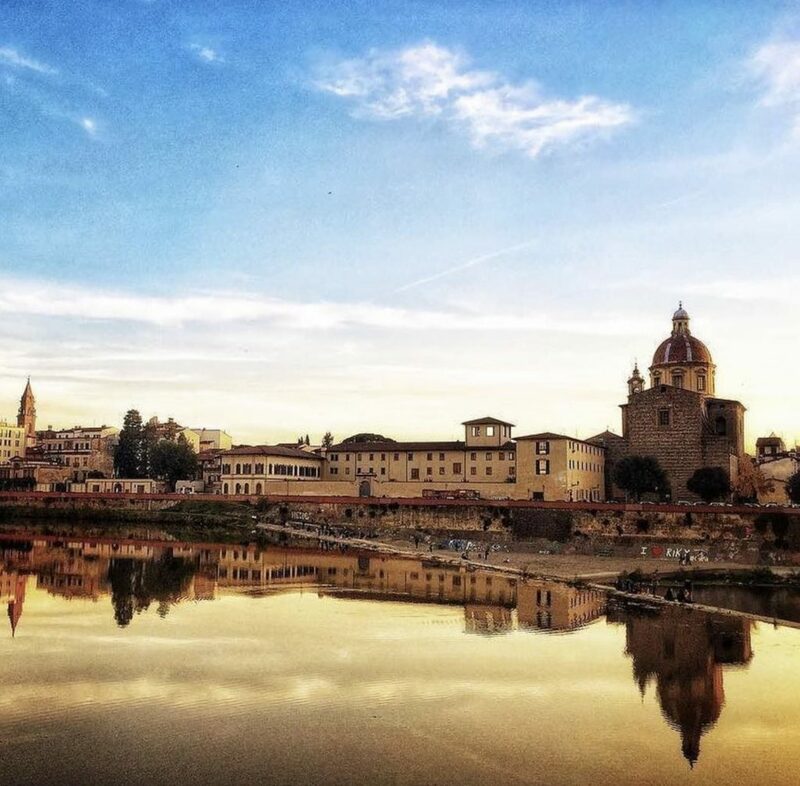 In our next post, we will talk about the best walking routes we recommend to take in the finest of Florence.